Innovation is the basis for continuing to offer practical solutions to customers and consumers cleaning. Since the market launch of our iconic brands CLORALEX and PINOL more than 65 years ago, today we continue to advance. We created new categories of bleaches and cleaners gel, develop specialized categories for pet areas, and ventured into other existing such as liquid and powder detergents. Thus we have strengthened our product portfolio in the more than 700 thousand points of sale, marketing them under the PINOL, CLORALEX, ENSUEÑO, EFICAZ, FLASH, BLANCATEL, CLORALUZ and SULTÁN brands. 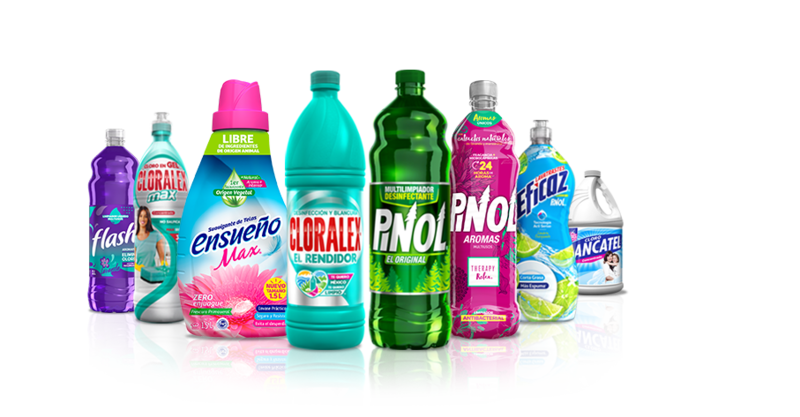 PINOL is a brand with more than 60 years conquering Mexican homes and providing cleaning solutions for our consumers. Since 1953, it has established itself as a leader, reliable and innovative brand, capable to face any challenge of cleaning thanks to its powerful pine oil formula, becoming an unconditional ally in the house cleaning. In addition to be the only cleaner with more than 1,000 proven uses. 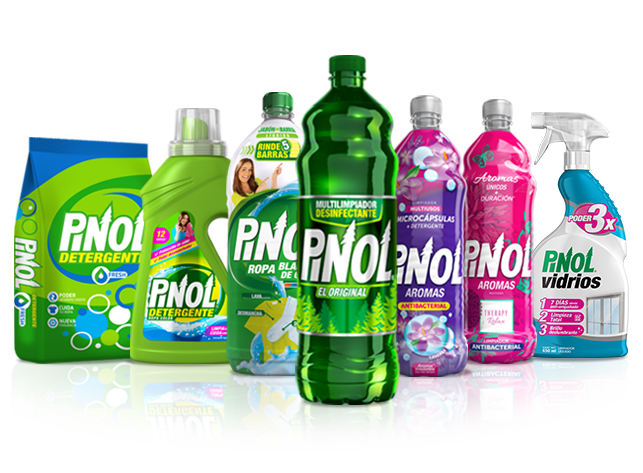 PINOL, concerned about the health and care of Mexican families, has been able to establish an emotional bond with our consumer, offering quality credentials, efficiency and cleanliness always ensuring the safety and well-being of households. 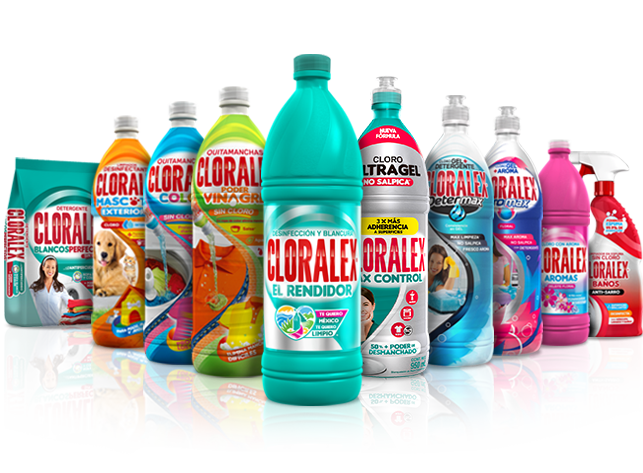 Since 1949 CLORALEX has been an ally in cleaning houses, businesses and institutions, it has been present in natural disasters, and has offered support to prevent infectious diseases providing reliability, security and wellness to Mexican families. CLORALEX promotes love and pride for México through its campaign Te Quiero México, Te Quiero Limpio Cloralex, inviting Mexicans to do good deeds and make Mexico a better place to live. With the purpose of providing cleaning and disinfecting solutions to our consumers, CLORALEX has created a diversified product portfolio. 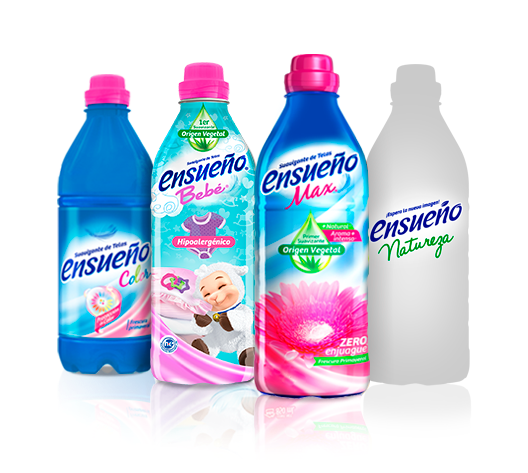 For over 20 years, ENSUEÑO has been the softener accompanying you in the laundry care of your family. Inspired by you, we have designed quality formulas and fragrances that accompany you during the day, giving you a feeling of freshness and care at all times. ENSUEÑO is a brand committed not only to current, but to future generations as well, therefore we are continuously looking for new technologies and processes that allow us to offer sustainable products and thus help to care for our environment. 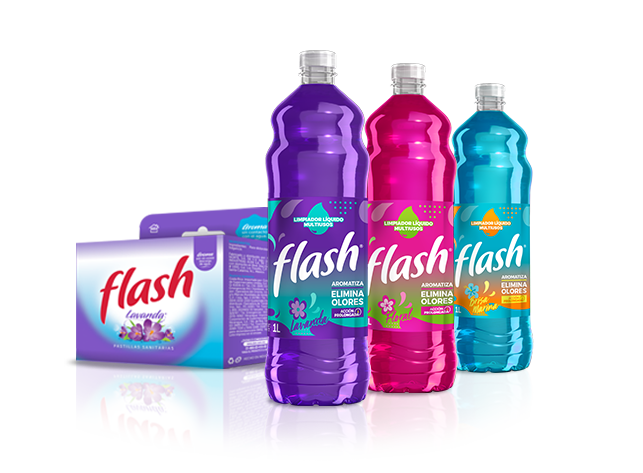 Since 1991 FLASH is the most practical and always accessible for those seeking a versatile cleaner and fresh scents. An ally in the housecleaning, thanks to its multipurpose formula with the unique scents Lavender, Fruity, Floral and Marine Breeze. In 1992 FLASH launched its toilet bowl hanger that releases a great aroma without being in contact with water. Find it with a metallic or plastic basket hook and its Lavender, Floral or Marine Breeze scents. 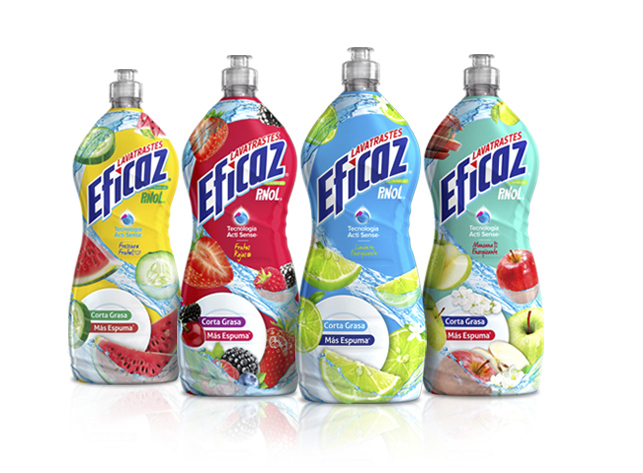 EFICAZ is the only dishwasher with Acti Sense Technology which activates your senses through its delicious scents: Limón Energizante, Frutos Rojos, Manzana Energizante and Frescura Frutal. Discover that washing dishes is not the same anymore and live your #MomentoEficaz. 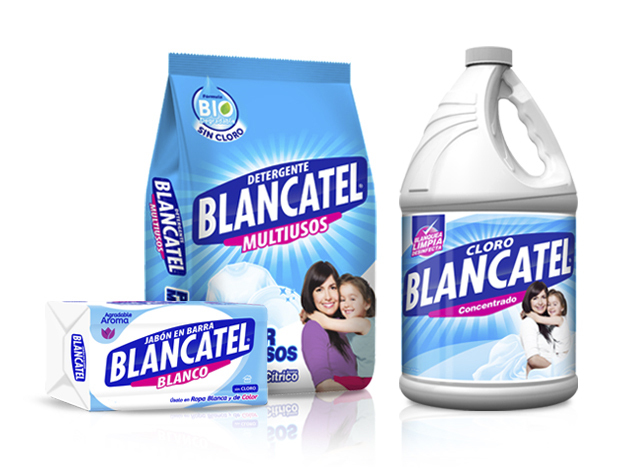 BLANCATEL, a brand that cares about delivering quality at a fair price, being part of homes of Mexico for over 20 years. SULTÁN with his powerful formula kills 99.9% of germs and restores glow for your floors. You can also use it to remove scale and rust stains from your toilets, sinks and tiles. 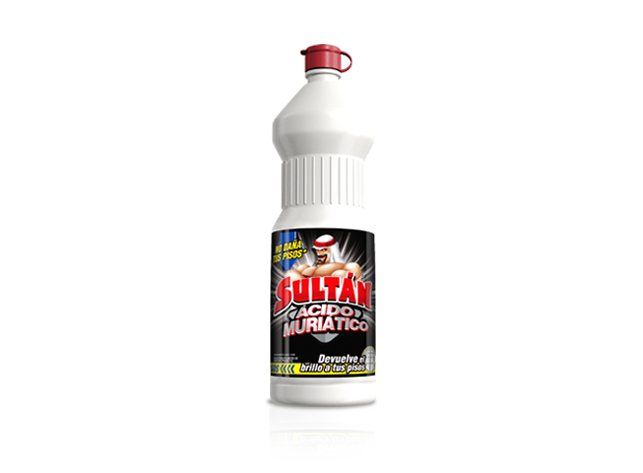 Returns cleanliness to your home with SULTÁN. 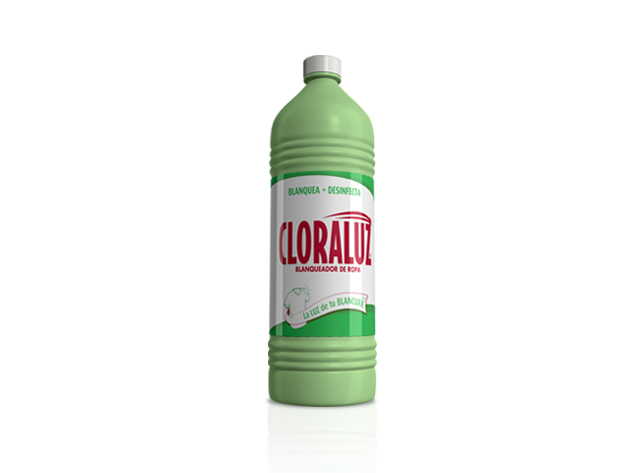 CLORALUZ bleach has been cleaning, whitening and disinfecting the clothes and houses of families like yours for over 20 years. Whitens clothes removing stains and preventing graying.